Andy Prince was born on December 3, 1945, in Cairo, Georgia. He enlisted in the U.S. Air Force Reserve on January 7, 1966, and went on active duty beginning March 1, 1966. Amn Prince completed basic training at Lackland AFB, Texas, in May 1966, and then attended Electronic Countermeasures (ECM) repairman school at Keesler AFB, Mississippi, in December 1966. 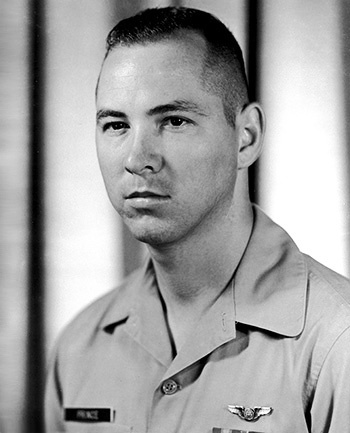 He attended additional Security Service training at Goodfellow AFB, Texas, from January to December 1967, and then served as an airborne RC-135 ECM repairman with the 6990th Security Squadron at Kadena AB, Okinawa, from January 1968 until his honorable discharge from the Air Force on June 22, 1970. During this time, SSgt Prince flew many missions in support of the Vietnam War. Airman First Class Andrew J. Prince distinguished himself by meritorious achievement while participating in sustained aerial flight with the 6990 Security Squadron, United States Air Force Security Service, from 21 January 1968 to 19 May 1968. 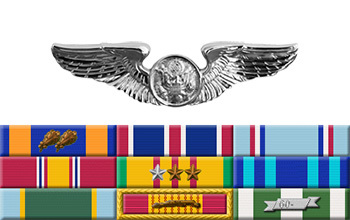 During this period, the airmanship and courage exhibited by Airman Prince in the successful accomplishment of these important missions, under extremely hazardous conditions, demonstrated his outstanding proficiency and steadfast devotion to duty. The professional ability and outstanding aerial accomplishments of Airman Prince reflect credit upon himself and the United States Air Force.